Pick the best Pumpkin in the patch! 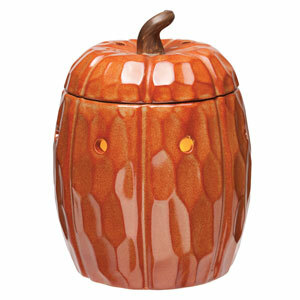 This Premium Mid-size warmer has a glossy, reactive glaze that pops in autumn orange. 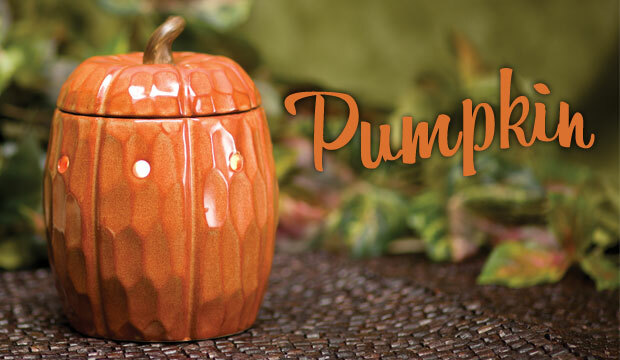 One of the few 3-piece Scentsy warmers, Pumpkin is sure to be a favorite! 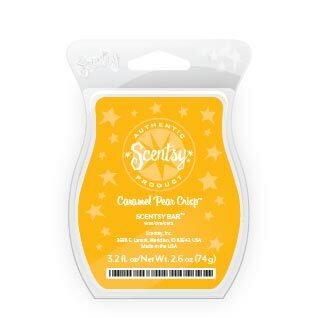 A safe candle: 25-watt lightbulb melts the Scentsy wax cubes in the dish on top to make your whole room smell good, with no fire danger, soot, or smoke. Each month Scentsy offers a Scentsy Warmer and fragrance of the month, so check back for October’s Scent of the Month. See the previous Scentsy Warmer of the Month for August 2012. Perfectly ripe pear and juicy nectarine blanketed in a brown sugar crust and topped with a dollop of warm caramel cream. Delicious enough to eat, but completely calorie free! The perfect way to bring in autumn.